Prescription fraud is the act of misrepresenting yourself to a physician or pharmacist, doctor shopping, or two-timing when getting controlled substances from a doctor or pharmacist. If a physician prescribe these drugs willingly and without a legitimate purpose, they also can be charged with prescription fraud. Doctor shopping is just one of the more common examples of prescription fraud and involves visiting many different doctors in hopes of acquiring narcotics. Chronic pain sufferers who are addicted to opiates or pain medication and need significantly larger doses in obtaining the same relief often use this method. Prescription fraud becomes evident in this instance if the patient fails to notify the physicians of already taking medication or have other prescriptions. Other good examples of prescription fraud include forging prescriptions on a stolen physician’s prescription pad, making use of computers to make fake prescriptions, or modify a physician’s prescription altogether to increase the variety of the drugs prescribed. Drug users have also used the tactic of impersonating medical staff to call in prescriptions and using their own number as call-back information. Most criminal offenses are described and tackled in the Oklahoma Criminal Code, Title 21 of the state statutes, drug crimes and penalties are explained in the Public Health Code. The Uniform Controlled Dangerous Substances Act begins in 63 O.S. 2-101 and continues through 2-701. It contains drug schedules and acts related to illegal drugs as well as rules and regulations for legally dispensing prescription drugs. Prescribing to oneself or one’s family members. In addition to losing one’s authority or right to dispense or prescribe drugs, a doctor, pharmacist, or prescriber also faces the same criminal penalties as anyone convicted of illegally distributing drugs. Drug distribution crimes are charged, in part, based upon the schedule of the substance involved. The most commonly abused prescription narcotic painkillers are oxycodone and hydrocodone which are Schedule II drugs. While codeine, morphine, methadone, and drugs containing amphetamine or methylphenidate (such as the ADHD drugs Ritalin, Dexedrine, Adderall, and Concerta) and barbiturates (Seconal, Pentobarbital) Benzodiazepines such as alpralozam (Xanax) and diazepam (Valium) are Schedule IV drugs. Distribution of a Schedule I or II narcotic—which would include prescription narcotic painkillers—is a felony drug crime punishable by 5 years to life in prison and carrying a maximum fine of $100,000. Illegal distribution of other Schedule I, II, III, and IV drugs is a felony punishable by 2 years to life in prison and a fine of up to $20,000. It is important to note that drug distribution charges in Oklahoma are not based upon the quantity of drug possessed or distributed, and that the actual sale of the drug is unnecessary to merit distribution charges. If your friend strains his back helping you move, and you offer him one of the unused painkillers leftover from your surgery, you are guilty of distribution of a CDS under Oklahoma law. In an attempt to divert drugs from unauthorized use, the Oklahoma Bureau of Narcotics places prescription drop-off boxes for appropriate disposal of unused prescription drugs. Some of the typical criminal defense tactics available in prescription fraud cases include: tough illegal search and seizure, defective search warrants, and other constitutional violations. For a doctor or physician, the “good faith” defense can be used if a patient fails to disclose a material fact that, if the doctor knew, would not have caused a prescription. Many states use alternative sentencing including drug courts and a pre-trial recreation program in first-offense cases. In such case, charges may be dropped or dismissed on completion of a court-approved program. Needless to say, prescription fraud charges are a very severe issue. With prescription fraud crime rates increasing, many states have enacted strict laws concerning their possession and distribution. 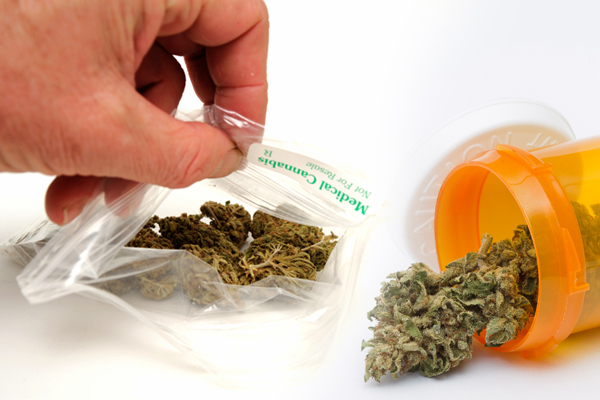 Prescription drug charges are a very serious matter that require an educated, experienced prescription drug attorney. A strong defense can make a big difference in regardless if you successfully defend yourself from criminal charges.